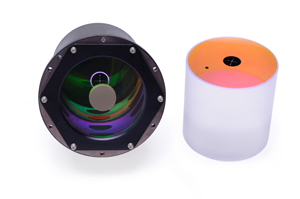 Inrad Optics grows and fabricates optical materials to exacting quality standards and also incorporates those materials into advanced optical components, assemblies and systems. 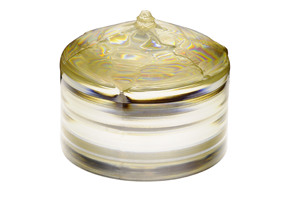 Our materials know-how is reflected in our broad portfolio of standard and build-to-print optical components—including nonlinear crystals, electro-optical devices and metal optics. And our optical design-for-manufacturability expertise allows us to execute even the most challenging custom optics designs. We improve the world’s safety, security, and scientific understanding by transforming challenging requirements into optical realities. We produce optical materials to the highest quality standards. 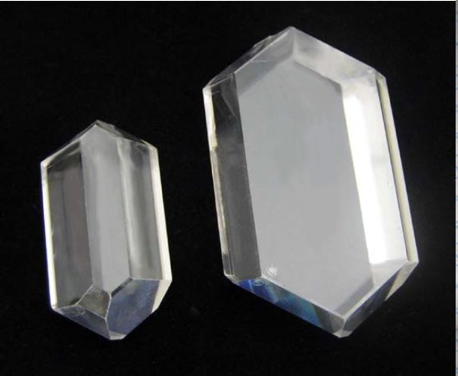 At our facility in New Jersey, we have developed proprietary methods for growing and processing nonlinear crystals, polishing, diamond turning and surface treatment methods to metal optics. → Learn more about our advanced optics manufacturing capabilities. Working on a build-to-print basis or as part of your design team, we specialize in the integration of optical components into mechanical assemblies and electro-optic systems. → Learn more about our custom optics program. Everything we do starts with an expertise in optical materials. From nonlinear crystals to beryllium mirrors, our application engineers can help you identify the right optical component for the job at hand. 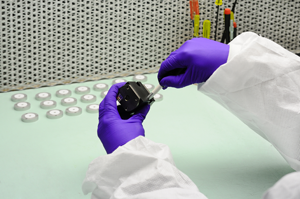 Advanced thin film coatings have long been a key part of our in-house optics manufacturing capabilities. 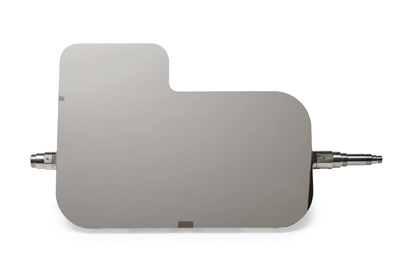 With our plasma assisted deposition system, we can produce thin film coatings on optics as large as 60 inches across. → Find out more about our engineered thin film coatings. 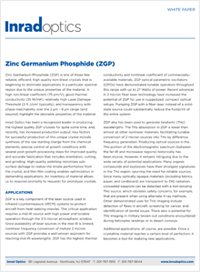 Zinc Germanium Phosphide (ZGP) is one of those few reliable, efficient, high quality non-linear crystals that is beginning to dominate applications in a particular spectral region due to the unique properties of the material. A high non-linear coefficient (75 pm/V), good thermal conductivity (35 W/mK), relatively high Laser Damage Threshold (2-5 J/cm2 typically), and transparency with phase-matchability over the 2 μm – 8 μm range (and beyond) highlight the desirable properties of the material. At magnetic confinement and laser inertial confinement nuclear fusion research facilities, plasma imaging and spectroscopy are critical tools for understanding the dynamics of the confined fuel and getting closer to the goal of clean, sustainable power. Get product and technology news updates in your inbox.